Yes, camps hire multiple staff to take pictures all day long – what a dream job! When we think of camp, most of us think of participating in activities. We may think of climbing mountains, running on a sports field, throwing a pot, choreographing a dance. Well, if this is what you imagine, you are right. And why is this your image of camp; because you probably saw a picture of it somewhere. A picture that a staff photographer took. Put down your phone. It’s the four words every parent says more often than they’d like to admit. Especially at the dinner table. Believe me. I’ve said it. I have three children, each making their way through life with Google as their guide, Facebook their friend, SnapChat as their quickly disappearing storyline. But, each summer, they head off to camp, a place that requires them to leave their phones at home. For that blissful week, they resist the urge to capture every moment with a selfie, check the status of their best friend who actually lives just next door, or scroll numbly through curated snapshots that only leaves them wanting something more. It’s the one time of the year they get to live the experiences versus photographing the experiences. And, actually, research shows, they’ll remember it better this way. In a 2017 study, students at Fairfield University in Connecticut were told to take photos of objects at a museum — and, surprisingly, they remembered fewer of the overall objects they had photographed. If we’re all looking through the viewfinder to capture each moment of our lives, we don’t truly process it. It’s the same at summer camp. My kids come home every summer with wonderful stories of adventurous feats, new friends, and hilarious hijinks. And what do I want? Photos. Go figure. So that’s what got me thinking. What if I could develop a technology that enabled families like mine to live in each moment but still get photos of these precious moments afterward? And that’s why I created Waldo, a facial recognition platform for camps that leaves the photo-taking to the camp photographers. It powers them with technology to send each camper’s photos to their families at home via text message. Our motto is simple: “Live the Moment,” and that’s what we want to enable the world to do. And, now, back at my dinner table, we’re all happy campers. My kids get to live in the summer camp moment, without their phones. And we all still get to see those awesome camp photos afterward. Looking for a camp job? 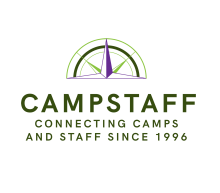 Visit www.campstaff.com and fill out your FREE profile. We’ve been connecting camps and staff since 1996; let us help you find the perfect summer job!